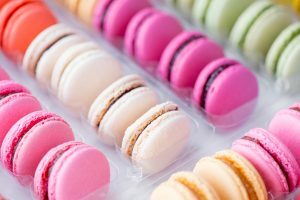 The ultimate subscription box for every sweet tooth. Welcome to the Candy Club, where each month members receive the most scrumptious, tempting gourmet candies straight to their doorstep. 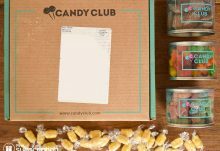 Featured on NBC, ABC, People Magazine, and so many more, the Candy Club is making it easier than ever to get your sugar fix, and at a price that is worth salivating over. Backed by a personal candy quiz that helps to discover your sweet tooth profile, the Candy Club curates delicious boxes for you each month, allowing you to taste and try some of the world’s most incredible candy and sweets. The perfect gift for treat-loving families, the Candy Club allows you to get a box full of surprises, or a carefully-crafted box of your own making, each month, offering expert advice and guidance every step of the way. 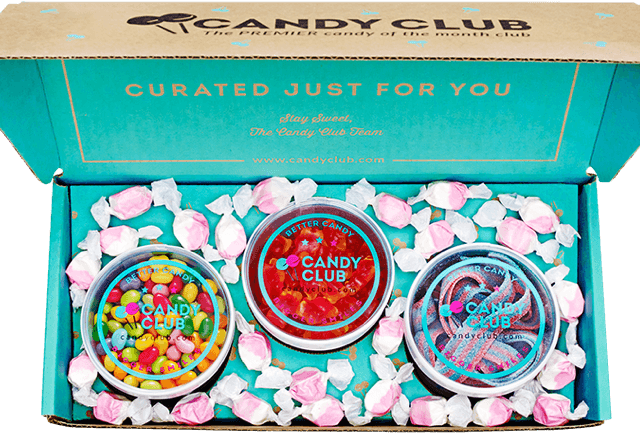 Each Candy Club box contains three types of gourmet candies for you to enjoy. Discover new favorites or get your favorites – you pick what you want in your box! New candies in each category are available each month, which means there’s always something fun to discover! 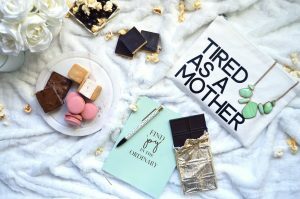 And, with three different subscription boxes to choose from, there’s a Candy Box option for everyone to enjoy. Choose when you want your candy box delivered! Receive a new Candy Box at your doorstep each month for six months! Receive a custom Candy Box at your doorstep each month for an entire year! The Candy Box is only available to addresses within the 48 contingent United States. A $7.99 shipping charge is added to each month’s box price. How would you rate Candy Club ? 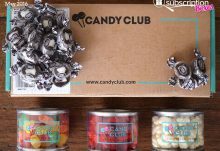 Candy Club: 50% Off Your 1st Candy Box + FREE Shipping!